The following PE exam post is a guest post by TEM member Andy Lin, PE, SE. I was so blown away by its depth and detail that I have also added it to our Guides section on the website. Here at Engineering Management Institute, we highly recommend our friend and sponsor, PPI, for your PE exam review. As an exclusive benefit to our supporters, PPI has extended a 20% discount on their exam review materials. All you need to do is enter promo code PASS8 at checkout at ppi2pass.com. It’s that “exciting” moment in your engineering career again. After obtaining your Engineer in Training (EIT) and working for a few years, you are ready to take on the next challenge—the Principles and Practice of Engineering exam (PE exam). As you start studying for the PE exam, you’ll probably notice that there are dozens of prep courses out there—most of which teach you “everything you need to know” about the exam. For example, on a Civil PE exam, “everything” consists of topics such as construction, geotechnical engineering, structural engineering, transportation, water resources, and environmental engineering. Many of the courses out there offer great lessons that go into detail about every single one of these topics. I am going to go out on a limb here and say that, based on my own experience, you don’t really need to know “everything” to pass the exam. For those who are planning to study on their own without taking any courses: I have developed a study strategy that worked very well for me. Following my own plans, I was able to pass the PE exam on my first try. 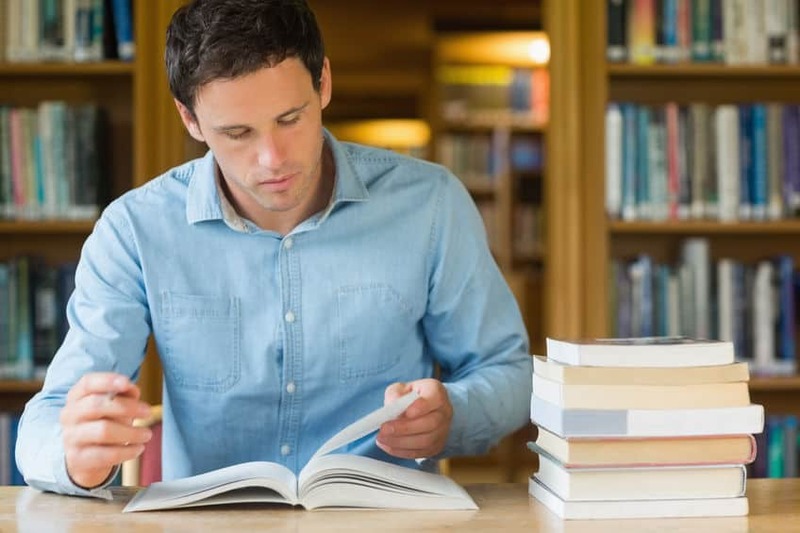 In this post, I will show you how you can apply the same method to fast-track your PE exam study routine and pass the exam. First, let me give you a quick glance at my engineering background so you can see how you and I might share similar experiences. I graduated from the University of California, San Diego (UCSD) with a bachelor’s of science (BS) in structural engineering (note: no master’s of science (MS) and not civil engineering). While I was in school, I interned for nine months (five to 10 hours a week) at a civil engineering firm designing miscellaneous structures like flag poles and fence posts. After graduating, I worked at a structural engineering firm (designing mostly buildings) for two years before taking the PE exam. As you can see, nothing out of the ordinary. If your background is somewhere along the same lines (even if it’s in a different discipline), the following study strategy very well might work for you as it worked for me. Disclaimer # 1: This strategy offers a way to speed up your studying and shorten your study time overall—it is not a shortcut that skips studying altogether! You still need to put in the hours and hard work to learn the necessary materials. If you are here looking for the magic bullet, you probably won’t find it. Disclaimer # 2: I have never been a PE exam grader and I personally do not know how the exam is scored. Anything I am describing here is based on my own successful experiences, so follow at your own risk. Familiarize yourself with the exam specifications and know the related sections in your reference materials (I’ll talk about a technique I call “Spec & Ref”). Make sure that you can locate the topic you are looking for in your reference materials fairly quickly (I’ll explain the “Tabs & Highlight” technique). For the depth—you should know “nearly everything” you possibly can based on the spec, which shouldn’t be too difficult assuming you have been working in the related industry. For the breadth—you only need to know “just enough” for materials not related to the depth topic. I’ll show you how. Let’s make a few assumptions and do some quick math based on the civil-structural spec to explain why this strategy makes sense. Say that after looking at the spec for the afternoon portion, you are confident that with some serious studying, you’ll probably be able to answer 80% of the structural problems for the p.m. session correctly. Now, looking at the morning session, since the breadth structural questions will likely be much easier than the afternoon questions (based on my experience and practice exams), there is a good chance that you can score 100% on those with relative ease. This will account for 20% of the score for the a.m. Assuming you need around 80% to pass, you will need to score around 60% total (80% – 20% = 60%) for the remaining four topics (construction, geotechnical, transportation, and water resources/environmental), which account for 80% of the a.m. score. What that means is that you will only need to know around 75% of the nonstructural related materials (60% / 80% = 75%). “75% still seems like quite a bit…” you say. The thing is, based on my experience, the a.m. session doesn’t really require you to have a “complete understanding” of the material. A lot of the time, the key is knowing where to find the right equations and knowing what the variables in the equations mean. Also think about this: according to the spec, the “water resources and environmental” section has 24 subtopics. In that case, 75% means you only need to know about 18 of the topics, which probably equates to dozens of hours of study time saved. All right, enough of the numbers talk. Let me walk you through the four basic premises and show you how you can actually apply them. The idea is that you should always focus on topics that will actually be on the exam. For example, unless your state has other special exams (like California), I probably wouldn’t spend too much time on seismic design for different materials, since the spec doesn’t mention it (note that the spec does mention “earthquake loads,” which is a lot simpler than “design”). My recommendation is to print out the exam spec and keep it handy at all times while studying. Why? That way you can add the related reference materials and pages next to each topic, which will help you find the info you need much more quickly during the exam. I call this a “spec & ref” technique. One of the major challenges in studying for an exam this size is that by the time you finish studying, there is a good chance you’ve already forgotten half the stuff you studied months/weeks ago. Since the exam is open book, one of the things I did to combat this memory loss was to make sure I knew how to find the information quickly using this technique. Basically, like I mentioned earlier, as you go about your studying, write down the pages that are related to each topic. I’ll talk more about this below, but click on the image above to see an example. Another major benefit of doing this is that you’ll know whether or not you’ve got every single topic covered—if not, you better make sure that you do prior to the exam! During the exam, you will come across things that you may have never heard of. The trick is to locate the keywords in a problem and see if you can find them in the index of your reference material. (I recommend owning or borrowing a copy of the Civil Engineering Reference Manual by Lindeburg or a similar book for your discipline.) Lindeburg also has mechanical engineering, chemical engineering, and environmental engineering reference manuals (affiliate links). How do you do that? Let me show you this little time-saving trick I call the “tabs & highlights” technique. Tab the index with alphabets. While working on a problem, once you have identified the keywords, the index is the first place to go if you don’t know where else to look. Since the index is tabbed with the alphabet, you don’t need to spend time flipping through it back and forth trying to find the word you are looking for. This may not seem like much, but believe me, consistently saving little bits of time and energy will go a long way in an eight-hour exam. This is where the highlights come in handy. You have determined that “hydraulic loading” is on one of these three pages: 28-3, 29-10, or 34-18. When you flip to these pages, you can very quickly spot the keyword. The highlights emphasize the italicized words, making them stand out from the hundreds of words on the page. Again, consistently saving little bits of time and mental energy will help you get through the rest of the exam day. Studying for the depth portion is pretty straightforward—you have to study the materials pretty thoroughly and make sure you understand them completely. Not only is this absolutely essential for passing the afternoon session, but it should also help you with your actual job (assuming your work is directly related to your chosen depth topic). If you have a copy of the Civil Engineering Reference Manual by Lindeburg (most PE takers do), go through every single structural-related page. Make sure you know how to solve all of the example problems. Study the Six-Minute Solutions (Structural Problems) and repeat the problems multiple times. Your first time working the problems, you should actually write down all of the steps and calculate out everything, because it helps you work out the kinks that you weren’t aware of (you also get to practice using your calculator). Subsequent times, you only need to be able to recall the steps in solving a problem and don’t necessarily need to write or calculate out the number. *Affiliate Link – for other Six-Minute Solutions, visit ppi2pass.com. Finally, you should go through the exam specs to make sure you study every topic listed. First, make sure you have the index tabbed, as discussed earlier. Look at the exam spec so you have an idea of what you are looking for. Like I mentioned above in the “spec & ref” technique, the goal is to be able to identify all the related pages and put them next to the listed topics. Decide what section you are going to study (e.g., water resources). Start from the first page and skim in the direction of how you normally read (i.e., top down, left right). You want to find the italicized words and highlight them. You are also looking at the titles to see if they match any of the topics listed in the spec. If you see something that sounded like it’s also in the spec, highlight the keywords in a different color; go to the index and highlight the keywords there also. Then, write down the page number next to your spec sheet. For example, I see “Energy and Friction Relationships” on page 19-7; it sounds like it could be related to “Friction and/or Minor Losses,” so I highlight the title and the keyword in the index. Then I write down 19-7 on the spec sheet. Continue doing this until you have nearly every topic on the exam spec covered. Once you are done with highlighting and referencing, based on the exam spec topics, go back to each section in the book and study them (i.e., understand how the equations for that particular section works and what each variable means, etc.). As far as the extent of the studying is concerned, you don’t need to be an expert. You just need be about 75% confident. When you are done with studying for a particular section, try to do the practice problems (if there are any) without looking at the solutions. If you can answer them, you are probably in good shape for that topic. If not, after looking at the solutions, you should note the section down so that you can come back to it later to review and refresh your memory. You want to practice with as many sample problems as you can, because doing the problems will help you understand each concept; it will also help you increase your speed in answering questions. If you don’t have copies of the six-minute solutions for each main topic (construction, geotechnical engineering, structural engineering, transportation, water resources and environmental), I highly recommend that you either buy them or find people to borrow from. Doing them multiple times, as I suggested earlier for the p.m. session, will prove greatly helpful. Know the specs so you know what to study. Study as much as you can for the p.m. session. You don’t need to study “everything” for the a.m. session. Utilize the “spec & ref” technique along with the “tabs & highlights” technique to gain an edge. Have a study schedule and develop a habit of studying to make sure you get enough practice prior to the exam (I actually wrote a post about this; although it was written for the SE exam, the same idea applies). Practice using your calculator (again, any bit of time saving counts!). There you have it. Thank you for reading, and I hope you find this useful one way or another. If so, please let me know by writing in the comments below. This is a guest post from Andy Lin, the founder of Structural Engineer HQ—a blog to help structural engineers study and pass the 16-hour NCEES SE exam. I hope you enjoyed Andy’s guest post.